"In some cases they are spending more time in prison than if they had pleaded guilty and served a sentence in full." What if I told you people were being indefinitely detained in prison across Australia because they have a disability and there is nowhere else for them to go? No doubt you'd say 'no way!' Unfortunately, you'd be wrong. Across states and territories, people with cognitive or psychiatric impairment are in accommodation not appropriate for them because there is no other place for them. When people with cognitive or psychiatric impairment are being indefinitely detained in prison, it means that in some cases they are spending more time in prison than if they had pleaded guilty and served a sentence in full. In a sign that the system is broken, people with cognitive or psychiatric impairment are sometimes being urged to plead guilty by their lawyers, because if they are found unfit to plead but a risk to society, the aforementioned indefinite detention can last longer than the proposed sentence. There can be a number of reasons someone with cognitive or psychiatric impairment might be sitting in a prison cell indefinitely. The national senate inquiry I initiated and chaired focused predominantly on forensic orders. In broad terms, this is someone who has been found not guilty by reason of cognitive or psychiatric impairment. This group, who are predominantly Aboriginal and Torres Strait Islander peoples, can be held indefinitely nonetheless. One example is Marlon Noble, an Aboriginal man with an intellectual impairment who spent 10 years in prison despite never being convicted of a crime. He was released from prison in 2012, yet still lives under strict conditions. This has been condemned by the UN; the Committee on the Rights of Persons with Disabilities strongly criticised his treatment earlier this year, deeming it 'inhumane'. Shamefully, the WA Government is yet to make any change. Ironically, if Mr Noble had been found guilty of a crime, he might have been out sooner. We found examples of this nationwide, including more in my home state of Western Australia. In evidence to the senate inquiry, WA Chief Justice Wayne Martin talked about the huge gap in 'middle ground' services for people with cognitive or psychiatric impairment. He said: "Custody ought to be an absolute last resort... And the problem is when you don't have a middle ground between unconditional release and custody, you get to custody much quicker." Chief Justice Martin mentioned the Bennett Brook Disability Justice Centre in WA, which is an excellent example of secure care for people with disability that does not sit within a prison; and acts as a transition centre back in the community. He said: "The alternative to this facility, as I understand it, would have been that people would have been taken to the door of the prison and told: 'Bye-bye. Off you go. Here's your belongings in a bag. See you later.' This facility was designed to bridge that gap between that rather stark alternative and managing their release back into the community." A lack of secure care and support accommodation across states and territories and inadequate legislation means that people with cognitive or psychiatric impairment are often either released back into the community too early (when that may not be safe) or are incarcerated. There are very few safe and secure spaces for them to go with appropriate care. The committee has recommended in its report tabled on Tuesday that the supply shortfall for forensic accommodation be addressed. Laws between states are different, with some resulting in worse outcomes for people with cognitive or psychiatric impairment. My home state of WA is one of the states that really disadvantages people caught up in the system. Worryingly, we have no consistent national data in this space, so I can't even say people with cognitive or psychiatric impairment indefinitely detained are 'just a statistic'; we do not even have national, consistent, up-to-date data on how many are being detained. This is why the committee calls on the consistent national data-set to be completed at the first opportunity. 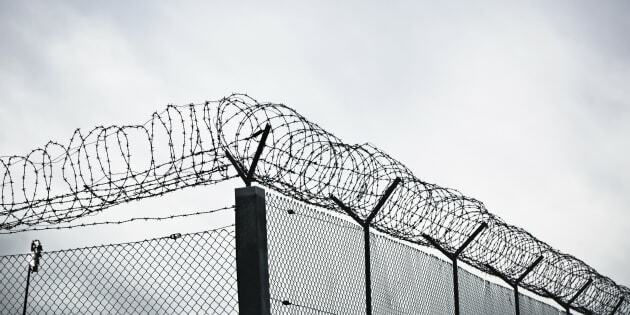 Overwhelmingly the committee found that the intersection between correctional facilities and health facilities are not working when it comes to people with cognitive or psychiatric impairment in the justice system. The inquiry was given a number of case examples where people with cognitive or intellectual disability are either being held in correctional facilities when they should be in secure therapeutic care, or, in fact, there is no suitable care accommodation available for them. Australian Human Rights Commission President Gillian Triggs has highlighted a particular case where from 2012-15, an Aboriginal man with an intellectual disability held in a correctional facility was shackled to a chair 17 times. He was isolated and secluded. This is an example of a correctional facility looking after someone that should be in a health facility. Long story short, he shouldn't be in a maximum security prison. On top of people with cognitive or psychiatric impairment being put in correctional facilities instead of secure health facilities, people with these impairments are entering the justice system undiagnosed. As a result, they largely remain undiagnosed, and receive punishing treatment rather than urgently required therapeutic treatment. Governments should urgently acknowledge that prisons are not the appropriate place for forensic patients. Therapeutic support is paramount, and patients need to ideally bypass prison and live in a supported capacity in the community or in a secure facility such as Bennett Brook. Rather than prisons, there needs to be a genuine path back into the community with strong services. Peter Collins, of the Aboriginal Legal Service of WA, stated that anecdotally, he had observed that nearly all Aboriginal and Torres Strait Islander peoples entering the justice system have undiagnosed cognitive or psychiatric impairment. He said: "In my estimation, 95 percent of Aboriginal people charged with criminal offences appearing before the courts have either an intellectual disability, a cognitive impairment or a mental illness. The overwhelming majority of those are undiagnosed and, therefore, untreated. If they go to jail it is almost impossible to conceive of them being diagnosed in jail; therefore, they are untreated. If you receive a community-type sanction, if you are from a regional or remote area, you will go to a place where you do not receive any meaningful interventions to deal with your problem." Another noted problem is people working in the judicial system, from police, to judges, to guards, are not adequately trained or aware of the complexities and requirements of someone with a cognitive or psychiatric impairment. Barriers 2 Justice highlighted a prison guard's reaction to forensic patients that is not uncommon: "In speaking with a veteran officer... I expressed my dismay that a forensic patient would be held in solitary confinement for so many years. His reaction was: 'What is "forensic"?' I explained that it was someone who had been found not guilty by reason of mental impairment and he asked: 'If he's not guilty, what is he doing here?' Unfortunately, his reaction was far from unusual." Australian Governments need to develop and implement a disability screening strategy, applying to adults and youth who engage with the criminal justice system. As recommended by the committee, the strategy would be applied at various points throughout the system, including first contact with police, judges and guards. Legislation reform is needed to ensure that people are not held in indefinite detention and the Federal Government should be showing leadership on this. This time last year, as chair, I tabled another senate committee report that urgently called for a Royal Commission into the abuse, violence and neglect of people with disability in institutional settings. That recommendation, along with others, has not been responded to while abuse continues across the country. The Government must act more urgently when it comes to these reports.